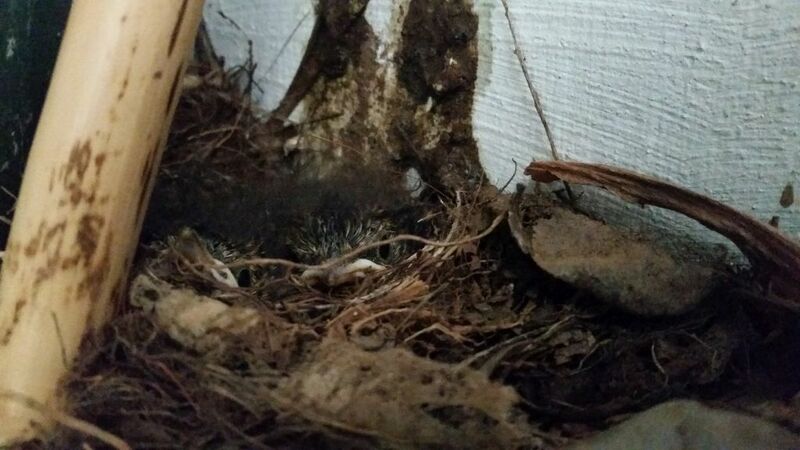 We came home from Europe to find a family of Cape Robins had moved into the garden office. 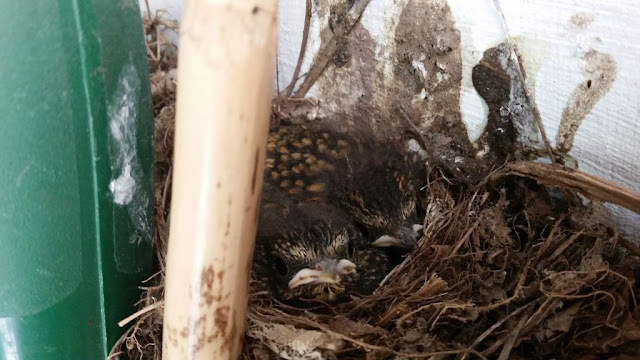 They had made their nest behind the Weed trimmer using the handle as a support for their nest. During our European visit our garden manager, Fungai took ill and had to be hospitilised for an operation. This must have seemed a perfect opportunity to move into the garden office with no humans to disturb them. Luckily it is winter and we do not need the trimmer immediately. 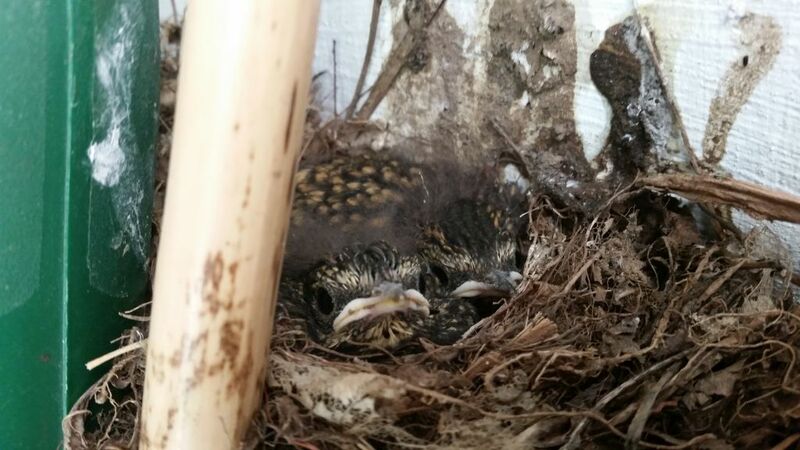 We are quite happy to share the garden office with Mr and Mrs Robin and two very fuzzy looking chicks. With Fungai in hospital, we came home to a lot of cleaning in the garden. The pruning of the roses, vines and fruit trees, the most important and immediate tasks at hand. The Robins are our constant companions. Foraging for a tasty morsel where we have just cleaned. They seem quite happy to share the garden with us. However, the garden office is a different story. We try and avoid it as much as possible, but when we do need to fetch something inside, one of the parents will perch on the gate and watch one very closely until you come out again. Their days seem to be spent looking for food and feeding two very hungry children. They in turn, are losing their fuzziness and acquiring the familiar spotted look of juvenile Robins. Our European holiday-euphoria did not last long when we were confronted with a winter garden that needed to be prepared for spring. But two little birds suddenly become more important than anything else. Their safety becomes paramount. We hope the cats will not find them as with the Cape wagtails that nested in the gas room last year. The Robin family seems like such a blessing to the garden. It is an amazing sign of spring and new life. 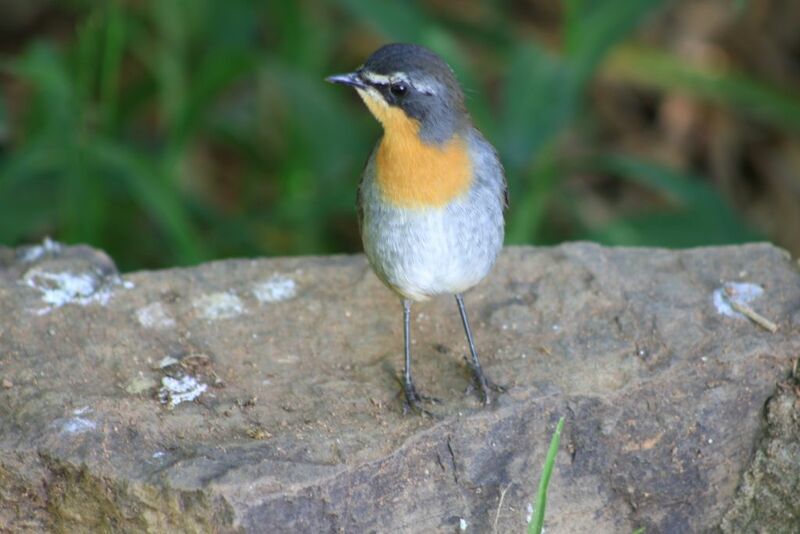 One cannot help but think of the lyrics of the 1926 popular song “When the Red Red Robin” composed by Harry Woods. As happy as a King. Live, love, Laugh and be happy!" Doin' what I did again. We will not use the trimmer until the Robins go bob bobbin along. 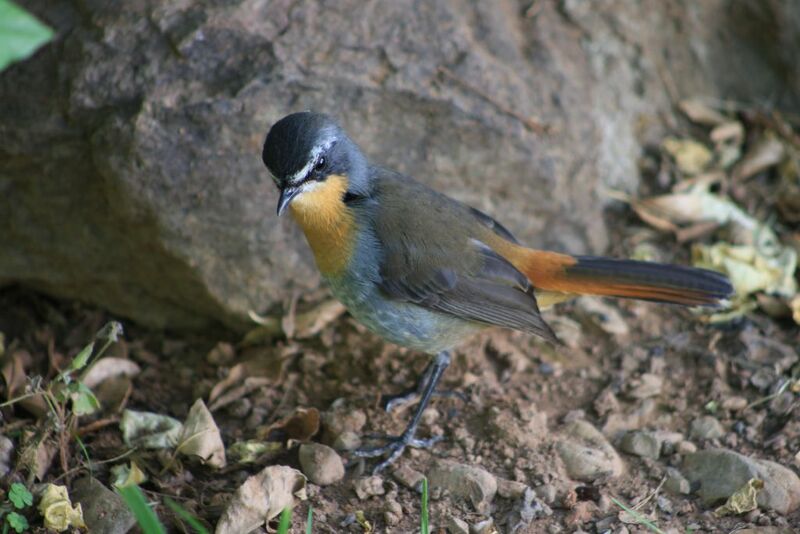 There will be fuzzy edges to the lawn but there will be two Cape Robins that will call Towerwater home and we will remember that the important thing is to “live, love, laugh and be happy”. Pragtig, Thys! Dankie vir die mooi boodskap. Thanks for the lovely post. "When the red red robin" has particularly happy childhood memories for me.